Many nonprofits run on a shoestring budget. At the same time, they need technology to help communicate their mission to the public and those who need their services. 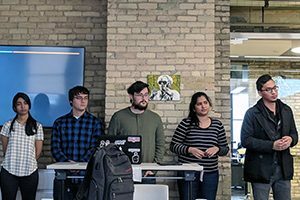 Coming to the rescue of these groups is the University of Wisconsin-Milwaukee’s Nonprof-IT program, which sends teams of UWM students to help out with websites, social media, databases and even networking computers and printers.